Saltash.net community school has launched its new Patron of Reading initiative, designed to encourage and improve reading and literacy at the school. Popular local children’s author Chris Higgins is the school’s first Patron of Reading, and she will be working with students and staff at the school, as well as schools in the local community, on a variety of projects. 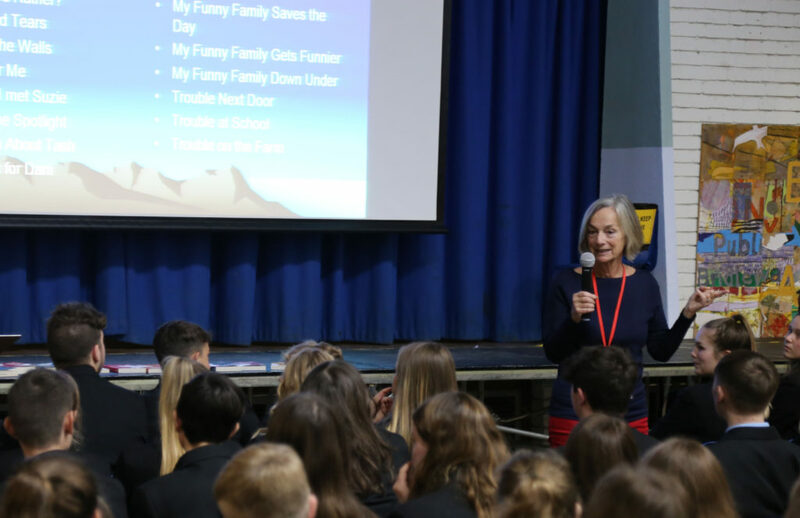 Chris has won a number of awards including Young Minds, the Lancashire Book Award, the Lincolnshire Young People’s Book Award, the KYBA, and she has been shortlisted twice for Queen of Teen, and first visited saltash.net in July to talk to students about her book ‘A Boy Called Ocean’. 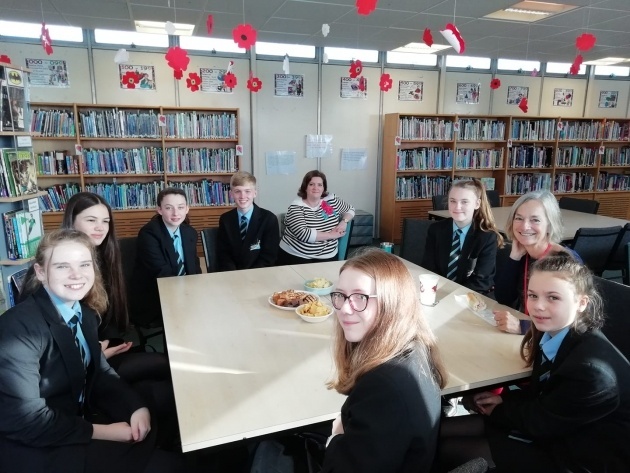 The scheme was officially launched when Chris visited saltash.net on the 13th November to talk to Year 8 and Year 10 students about the process of crafting language and creating a novel. Students had the opportunity to ask Chris questions about the writing process, and where she finds inspiration. Year 10 students were treated to an especially useful lecture on the writer’s craft and how Chris selects the right words to use, which forms part of the English Language exam that they will tackle next year. Chris also lunched with the school’s Leaders of Literacy students, discussing their favourite books and creative writing skills. Chris will be working closely with the Library team and the English Department over the next two years, in order to bring a love of reading and creative writing to all students, and will be returning early in the New Year. In addition, to mark the launch of the school’s Patron of Reading scheme, Chris is running a competition challenging entrants to write the best first line of a story. The winner will receive a signed copy of one of her books and the best 10 entries will be posted on her website. More information about the Patron of Reading scheme can be found here and the competition entry form can be downloaded here.